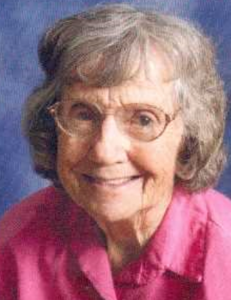 Evelyn Joan (Pomeroy) Beam, 91, Argos, died at 8:20 p.m. Jan. 17, 2019, at Miller’s Merry Manor, Culver, following a brief illness. On Nov. 21, 1927, in Plymouth, she was born to Stewart Pomeroy and Vera Amelia (Smith) Pomeroy and had lived most of her life in the Argos community. On Jan. 23, 1944, in Argos, she married Lawrence E. Beam and together they shared 67 years before his passing on Sept. 30, 2011. She was a homemaker and housewife and had been manager of Harvey’s Dime Store, Argos, and was most recently employed at Wal-Mart, Plymouth. She was a member of Walnut Church of the Brethren, Argos, and attended Argos High School. She is survived by her sons: William Beam, Argos; Timothy Beam (Pamela) Maineville, OH; a daughter: Beverly Barrett, Argos; five grandchildren: Elizabeth (Brian) Yankauskas; Melanie (Mark) Dean; Amanda (Michael) McHugh; Brian (Corey) Beam; and Ben Beam; nine great-grandchildren; a sister: Lila Parrish, Argos; and one brother: James Pomeroy, Bremen. She is preceded in death by her parents; husband; an infant son: Larry Beam; a son-in-law: Bud Barrett; a sister: Peggy Kring; and sister-in-law: Shirley Pomeroy. Friends may visit with the family from 10 a.m. to noon Tuesday, Jan. 22, at the Walnut Church of the Brethren Church, 5975 19th Road, Argos. Services will be at noon following the visitation at the Walnut Church of the Brethren with Rev. Robert E. Rice, Jr. Burial will follow at the New Oakhill Cemetery, Plymouth. Memorial contributions may be made to Marshall County Center for Hospice, 112 S. Center St., Plymouth, Indiana 46563 and Walnut Church of the Brethren Church, 5975 19th Road, Argos, Indiana 46501.